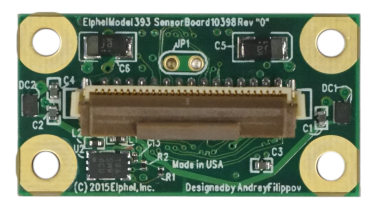 10398 board is a 14MPix sensor front end (SFE) designed to work with 10393 camera system board. It has the same physical dimensions and the same optical format (1/2.3") as a 5MPix SFE 10338D (15mm x 28mm). The 14MPix (4608H x 3288V, 1.4μm x1.4 μm) image sensor used is On Semiconductor (former Aptina) MT9F002. 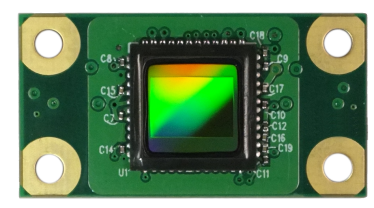 This sensor (and 10398 SFE) uses 4-lane HiSPi serial interface running at 700 Mbps/lane and is capable of running at 13.7 fps at full resolution (12bpp mode), or 60fps at 2304x1296 (1080p + 20% EIS). Other combinations of resolution/frame rate are possible. 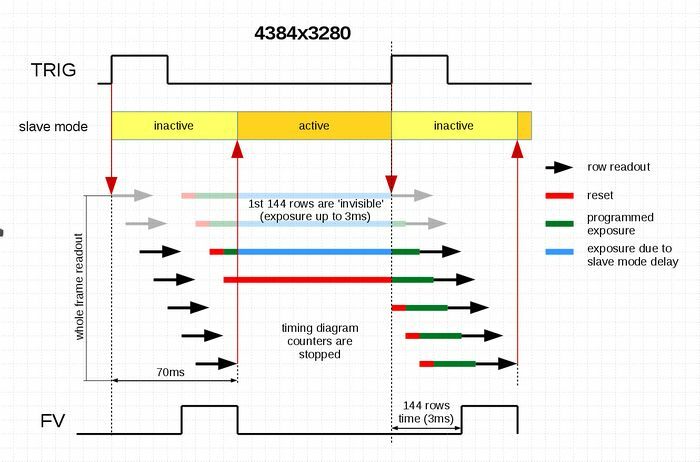 Up to 4 10398 SFE can be directly connected to 10393 system board and run simultaneously at full speed (880M pixels/s combined). 10398 SFE uses the same 30-pin flex cable connector for control (I²C, extra GPIO), differential data output (4-lane HiSPi+clock) and 3.3V power (additional 2.8V analog and 1.8V digital are generated on board). Short connections can use general purpose flex jumpers (30 conductors, 0.5mm pitch) or Elphel flex cables manufactured for the parallel interface sensors, longer connections require controlled-impedance flex cables with 100Ω differential lines. This page was last modified on 3 August 2018, at 12:44.